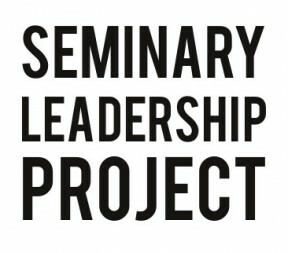 The Seminary Leadership Project provides rabbinical, cantorial and education students in all denominations at seminaries across the country with organizing and leadership development training, and mentorship with rabbis and organizers engaged in synagogue organizing. It provides opportunities for students from various seminaries and denominations who are interested in organizing to impact the Jewish community and the world around them to learn from and support each other. JOIN for Justice offers a cross-denominational fall semester course in New York City for students from all local seminaries and runs training modules at most of the major seminaries. Read about our Seminary Leadership Courses and meet our most recent SLP cohort. In training the next generation of religious Jewish leaders, we intend to fill synagogues across the country as well as other Jewish institutions with clergy who understand how to build thriving communities based on relationships and common purpose. Clergy trained through the Seminary Leadership Project have the skills to develop leadership teams, rather than leading on their own. They have the appetite to transform their own institutions into healthy, vibrant, thriving beacons and to lead those institutions as they act on values grounded in social justice in the world around them, helping it become a more just place. They see their laypeople as allies, not problems to be controlled, and other clergy – both Jewish and non-Jewish – as partners. They have the confidence to experiment and the talent to position themselves for success. Over 400 rabbinical students have been trained through the Seminary Leadership Project, which was founded at Interfaith Funders and later housed by Jewish Funds for Justice before moving to JOIN for Justice in 2011. Our alumni are assistant or lead rabbis at synagogues all over the country, such as Boston, New York, Washington DC, Dallas, New Jersey, Florida, Los Angeles, and San Francisco.